When her 8-year old son began playing imaginatively with a discarded clothes dryer box, entrepreneur Erika Pope-Gusev had the idea for Fort Magic, a 3D life-size fort-building kit for kids age 5 to 10. The kit lets children use not only their imagination but their mechanical building skills to make play teepees, submarines, pirate ships and much more. 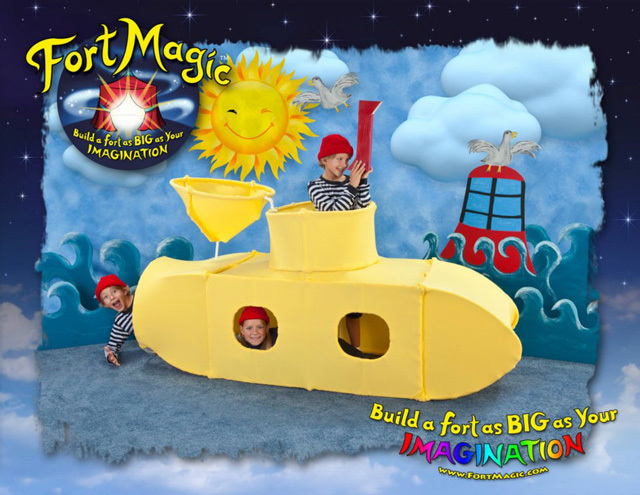 Fort Magic gives kids the ability to let their imaginations run free. 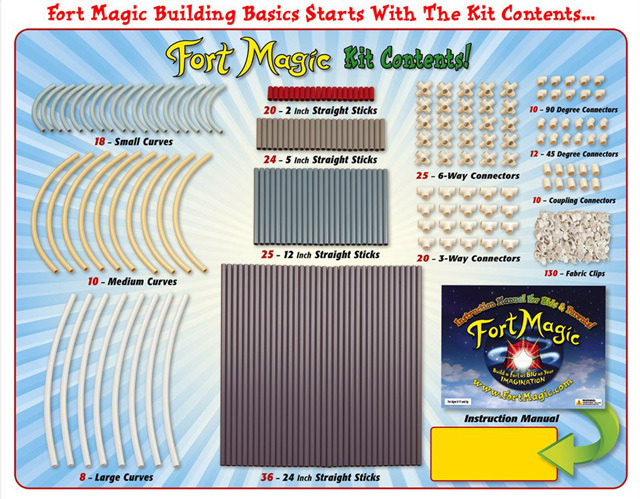 This new interactive “Fort” building kit allows kids to build a variety of structures that fit into a make-believe world that they can create all on their own. Forts, teepees, sets for mini productions, pirate ships, tunnels. EASY, and easy to clean. NO sewing. Thanks to Jeff Newelt for the tip!